After opening its door in Pompano Beach thirty two years ago, another generation of Pine Chiropractic is in town. Dr. Ross Pine is partnering with his father, Dr. David Pine, who began his practice in 1978. They are committed to combining the traditional principles of chiropractic along with the latest state-of-the-art technology to improve the health and well being of the South Florida residents. Dr. David Pine was born in Queens, New York and grew up in Port Washington on the north shore of Long Island. There he attended Paul D. Schreiber High School and was a member of the varsity tennis and soccer teams. Dr. David pursued his higher education at Vanderbilt University in Nashville, Tennessee where he received a Bachelor of Arts degree. His extra-curricular activities included the varsity soccer team, a position as chairman of the university's concert committee, and membership in the ZBT fraternity. The National College of Chiropractic in Lombard, Illinois is where Dr. David completed his four year post graduate studies in order to receive his Bachelor of Science and Doctor of Chiropractic degrees. By this time, Dr. David had met and married his wife, Dale, and together they moved to Florida to "thaw out." They co-authored a book entitled Fitness For Couples which endorses exercising with a partner to stay fit and combat the boredom of exercising alone. Their book was featured in "McCall's" magazine and on various television talk shows. In November of 1978, Dr. David opened his chiropractic office in Pompano Beach. He became active in the community by lecturing and writing health articles for local newspapers and he also became the team physician for the Ely High School football team. Dr. David coached and sponsored a variety of local soccer and baseball teams and in 1994 he authored his second book entitled, 365 Good Health Hints which offers sensible tips for maintaining a healthy lifestyle. Dr. Ross Pine is a wonderful addition to his father's well established and much respected practice. While attending Nova High School in Davie, Dr. Ross was a member of the National Honor Society and received numerous awards as an accomplished trumpet player in the high school's marching and jazz bands. He was also a member of the distinguished Florida Youth Orchestra. Dr. Ross earned a Bachelor of Science degree at Tulane University in New Orleans where he was a member of the Kappa Sigma Fraternity. He pursued his post graduate studies at the National University of Health Sciences in Lombard, Illinois. In his final year he was a chiropractic intern for the Northwestern University Athletic Department in Evanston, Illinois and the DePaul University Athletic Department in Chicago. In addition to receiving his Doctor of Chiropractic degree in 2009, Dr. Ross completed many hours of post doctoral studies and is a Certified Kinesio Tape Practitioner. 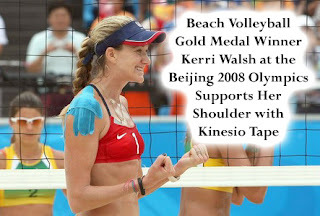 He uses the Kinesio Tape to enhance the athletic performance of his patients and expedite their recovery from various injuries. As certified ProAdjuster practitioners, Dr. David and Dr. Ross utilize instrumentation in their office that is based on NASA science technology. The ProAdjuster provides a computer analysis of the motion of vertebrae and chiropractic treatment can be done comfortably in an upright position without turning, twisting or sudden movements. Pine Chiropractic Center is keeping in step with all the advances in chiropractic healthcare. They have a computerized scanner to check the arches of the feet and can customize orthotics to correct the foundation of the entire pelvic structure. Dr. David and Dr. Ross offer rehabilitation therapy, cold laser, mechanical traction, ultrasound, electrical muscle stimulation, massage therapy, nutritional counseling and corrective exercise programs. With the merging of two generations of chiropractors, Dr. David and Dr. Ross are able to offer the community traditional methods of chiropractic along with modern breakthroughs in healing.